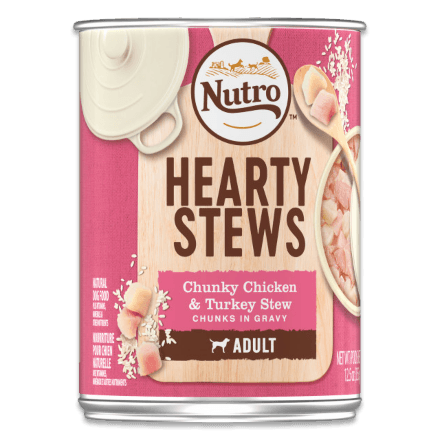 NUTROTM HEARTY STEWS Meaty Lamb & Rice Stew Chunks in gravy is a tasty recipe crafted for Healthy Skin & Coat and is a natural Source of Glucosamine and Chondroitin to Support Healthy Joints. This natural dog food offers complete nutrition, rich in nutrients and full of flavour. 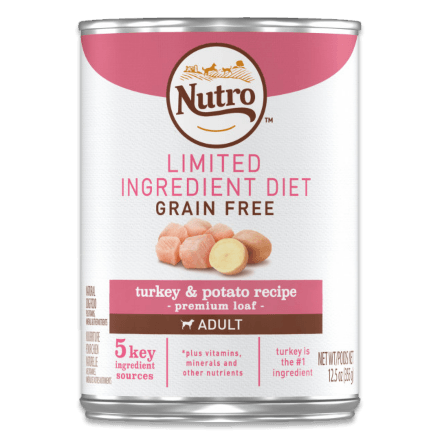 NUTROTM Quality Pledge: Natural ingredients carefully sourced from our trusted network of farmers and suppliers, no chicken by-product meal, soy, artificial flavours or preservatives. Water Sufficient for Processing, Lamb, Lamb Liver, Ground Rice, Wheat Gluten, Egg Product, Whole Rice, Salt, Sunflower Oil (preserved with mixed Tocopherols), Oat Fibre, Calcium Carbonate, Guar Gum, Sodium Phosphate, Potassium Chloride, Natural Flavour, Tricalcium Phosphate, Sodium Alignate, Xanthan Gum, Ferrous Sulfate, Vitamin E Supplement, Ascorbic Acid, Zinc Oxide, Choline Chloride, Thiamine Mononitrate (Vitamin B1), Magnesium Sulfate, Copper Proteinate, Manganese Sulfate, Sodium Selenite, Biotin, Potassium Iodide, Vitamin A Supplement, Vitamin D3 Supplement, Vitamin B12 Supplement, Riboflavin Supplement (Vitamin B2). 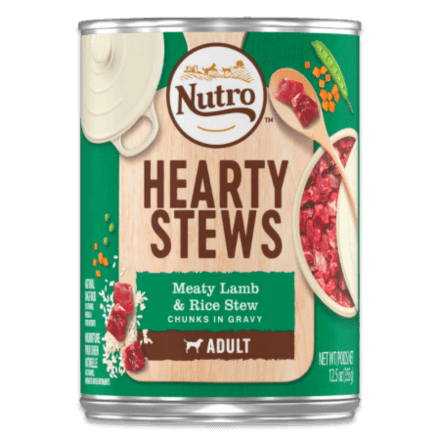 NUTROTM Adult HEARTY STEWS Meaty Lamb & Rice Stew Dog Food is formulated to meet the nutritional levels established by the AAFCO Dog Food Nutrient Profiles for adult maintenance.